For over 25 years now, we have providing award winning grounds maintenance services to a wide range of clients across Ireland and the UK. With a fleet of 70 commercial vehicles on the road in Northern Ireland alone, and with a number of vehicles also now operating in London and Scotland, our maintenance teams are renowned for maintaining multiple sites to an incredibly high standard. Currently, Out There provides maintenance services across a number of different sectors, including Social Housing, Healthcare, Retail, Education, Defence, Infrastructure and Government Bodies. We are fortunate to have a number of very significant maintenance contracts amongst our project portfolio, including an 8 year £65m contract to manage the entire Northern Ireland Housing Executive portfolio. And when it comes to maintenance, there is nothing we don’t or won’t do; from grass cutting to weed control, from shrub pruning to hedge maintenance, we not only maintain anything and everything, we provide real time feedback to all our clients so that they know exactly what we’re doing for them Out There! 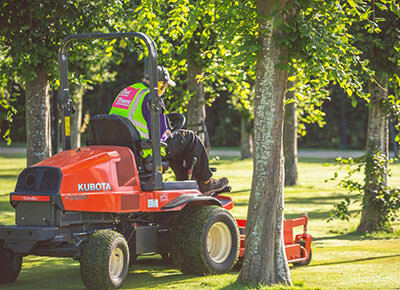 We continue to innovate and develop our systems and procedures, and as a result of this, we now operate mobile handheld devices on all Grounds Maintenance projects which provides real time feedback to Management staff and our Clients. Data from site visits are logged on interactive dashboards which allows us to be at the forefront of logistics planning and reporting. 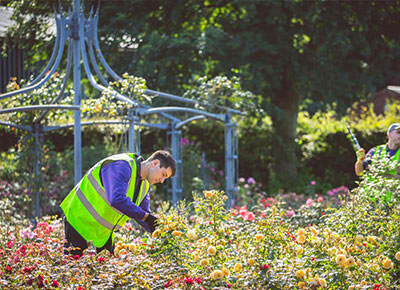 Since Autumn 2013, Out There have been delivering maintenance of the walled garden and surrounding grounds. 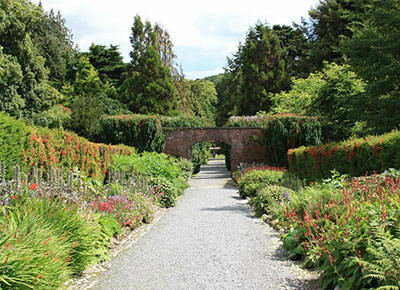 Today the gardens are fully open to the public and have once again become a popular tourist attraction. This project includes the grounds maintenance of CAFRE Educational facilities at Greenmount, Loughry’s, Enniskillen and Necarn Colleges. Out There maintain all aspects of the college grounds to ensure that students and staff can enjoy studying in pleasant surroundings. Out There are responsible for the Northern Ireland Housing Executive Grounds and Tree maintenance contract.